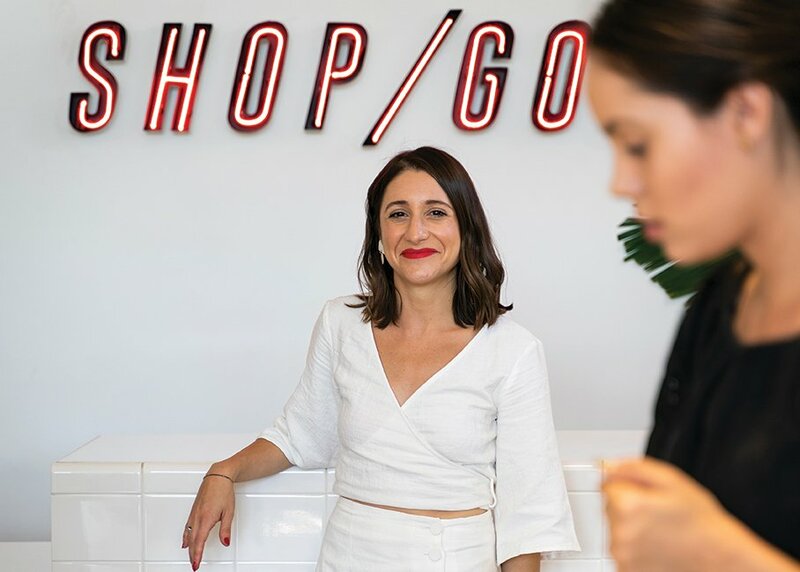 While Shop Good owner Leah Kirpalani knows that not everyone can swap everything in the bathroom for clean-beauty alternatives, she has five essentials that she says are a good start. Leah can’t keep best-selling Botnia hydrating serum on the shelves. Packed with hyaluronic acid and vitamin B3, it promises to reduce the appearance of fine lines and wrinkles while hydrating and plumping the skin. Leah’s a fan of Suntegrity 5-in-1 natural moisturizing face sunscreen because it’s a “UV chemical-free” tinted sunscreen that treats, hydrates, protects, primes and provides coverage. “Collagen is trendy,” Leah admits. “But it’s so good for your hair, nails and to slow the signs of aging.” She recommends mixing Vital Proteins Collagen Peptides into anything—morning coffee or matcha, smoothies, even baked goods. She also praises any hair care products from Innersense, an organic beauty line with conditioners, masks and styling helpers made with plant ingredients. Leah’s known for her signature red lips thanks to tmf. Vegan Lips in Bianca, which provides her with her long-lasting matte look. 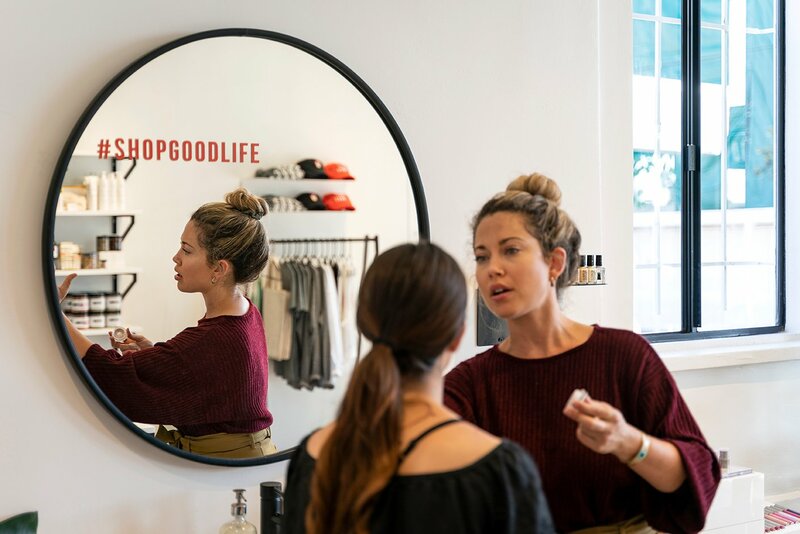 Shop Good is one of only two stockists carrying this Australian brand in the United States. Shop Good in North Park.